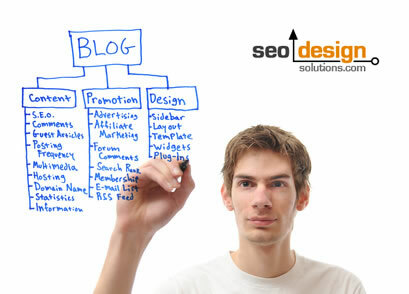 Link building is a crucial component to SEO. Each link on a page tell search engines a little more about the context and purpose of your website. Given the nature that links exist as a method for an individuals (or search engine spiders) to grasp more information on a topic as a reference. You’ll want to carefully sculpt which ones pass value from page to page (since you cannot always control who links to you). What are some considerations for links? Volume: The volume of links (link volume) has a distinct impact on page. 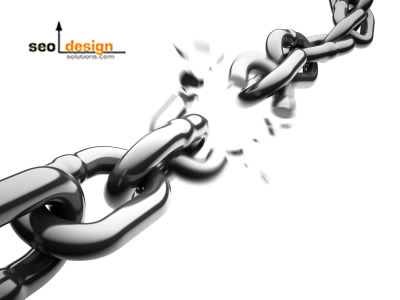 Outbound links have a tendency to divide the total link flow from a page by the number of outbound links. Hence, the less links used for this purpose (to funnel link juice to external sources) the more link flow each of the links has for the target page. Also, if there is a high volume of links on a page and a very small ratio of text the link to text ratio can impact the relevance score for that page. If you are dealing with outbound links 1 for every 200 words is a balanced measurement you can use to ensure that you are not diluting your pages from sapping link flow (for example 1000 words on the page cap it at 10 links). Proximity and Prominence: Link proximity and link prominence have to do with the placement of links to clusters of related semantically reinforcing phrases as well as their position on the page. The first link has the most link flow and as links are provided from lower regions on the page, they tend to lose value like a wave that diminishes. Also, if a link appears surrounded by context in the initial block of text on a page, another related link appears for example in the mid-body of the page and then another link is located in the lower block segment of the page (like a summary or footer) the relationship between the anchor text in the links creates a hash mark for relevance as well as each passes a different amount of flow. The key to creating transparency for content pages is, use fewer links to a target page from topically relevant pages to reinforce a theme. For example, if I have ten pages about link building in my site but I want one page to be the preferred landing page in search engines, then 9 of those pages need to link exclusively to the landing page with anchor text that reinforces the target pages purpose (preferred keywords). They can all be linked internally to reinforce each other and each page can target 3 different keywords (30 total for the 10 pages). Each keyword should have a specific ranking objective (perhaps one for the main phrase and the others for long tail) however they can all support each other over time. Each link that passes value (internal or external) adds up and leaves an impression to algorithms. The most effective way to sculpt relevance would be to edit and place links closer to the top block of information (higher in page prominence) to ensure the most transference for the main keywords of the target page and as the document progresses (to the middle and lower blocks) add a few more links for secondary keywords and phrases you want to augment from topically related pages. The relationships or the internal and external links indelibly shape the profile which qualifies your content for those phrases used in the anchors. 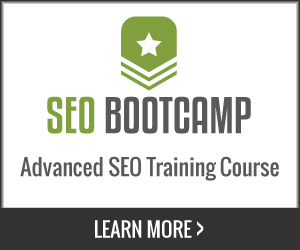 Using an array of overlapping links based on similar keywords from one page to another or from multiple pages to one page all transfer a subtle blueprint to the target page. Once that blueprint is there, if the on page factors accommodate the hype (or rather reference) of the aggregate links, then buoyancy occurs in search engines for the said keyword /terms. Here is one SEO tool our developer built in a few hours that aids this process of looking for champion pages for building internal or external links. You simply enter the domain in the first section, then add the keywords in the next section to find which pages have the highest relevance for the said keyword. They are listed in chronological order based on the on page factors that have identified the pages as relevant, so the top position is the ideal page to build a link to or from for the keyword indicated. 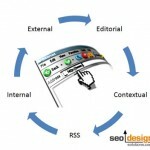 Velocity: Link velocity is the rate in which you gain or lose inbound links. Depending on your ranking objectives you can adjust this from employing different tactics to create a competitive advantage. Stable natural long-term link velocity is the best method for ensuring longevity in search engines. Each link is like another aggregate vote that reinforces the target pages reputation. Based on the trust, relevance and authority they have for the topic also determine just how much link weight they carry for the target page. Anchor Text: Anchor text (the text in the link) is something that should not be squandered. Related anchor text from or to a page aid search engines in gaining context of other related clusters of keywords and phrases. The key here is, try to tie the anchor text to the h1 and title tag (theme of the page) as much as possible to elevate signals to search engines that this page is all about the said topic or has links to a more relevant page that does. I personally try to match the links leaving the page (to other pages in a site) with keywords that are present in the title of the target page. Wikipedia also uses co-occurrence and link frequency from page to page to elevate relevance. If you have 100 internal links to a page in your site (for keyword A) and 20 inbound links from other websites (with similar or exact anchor text) you will outrank your competition as a result of the on page and off page synergy. More relevant internal links allows pages to rank higher (for the said keyword) with less external inbound links. Just consider it self sufficiency or recycling link flow. 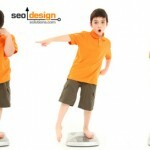 Link Weight: Just as hinted at above, link weight is a measurement (like a scale) that determines the amount of total links pointed at a specific page. Just like a teeter totter, the more link weight a page has on one side, the higher the tipping point expands when the page gains expression. 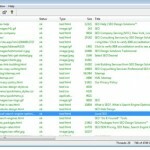 For example a page with 1000 internal links and 500 links from other sites has tremendous link weight. For most this would be their homepage. As a result, any link on that page gets tremendous link juice as well as if you consider some of the points above regarding proximity, anchor text choice and prominence can determine how other pages in your site rank. The objective is to have multiple pages with this type of link weight so you can ensure that you have powerhouse pages to funnel link flow if you need it. Continuity and Link Flow: Continuity and link flow have more to do with the way you distribute the link juice from internal to internal pages as well as external to internal pages. For example, using the home page analogy from above, I know that a page with 1000 internal links and 500 links from other sites is a powerhouse, so the last thing I would do is add 50 links to that page. The idea is, cap what you don’t need to pass value with the rel=’nofollow’ command and the links that remain on the page, make sure they have relevant anchor text to the target page and that they are surrounded by related keyword clusters (preferably higher on the page) to pass the most link flow. You can use alternatives such as java script to have links on the page that do not pass value as well, to ensure that the user experience is not diminished while allowing the SEO value to also have its place. This becomes more important as you elect other topical areas to pool link flow for SEO purposes. Ascent Cycle and Peaks: Just like a wave form, there is an algorithmic crescendo for the time it takes for links to peak and wane. By managing this process across multiple keywords (both internally in internal links and from external link sources) you can shift the way your pages appear in search engines. For example, by carefully crafting titles in blog posts, you are sculpting the way people link back to you (if they reference your post). Also, how you link to yourself from page to page is another way to augment this cycle of how your keywords relate to your content. For example, will 50 links with similar anchor text provide a boost for that keyword if they have the same target page? Absolutely, however the extent of which depends on an array of additional factors such as relevance, how much weight the page carries (from its own internal links and external links to it), if the site is an authority, domain age, etc. By managing internal and external links and the volume and their peak values you can sustain a keyword indefinitely (granted you are adding fresh content to keep the context relevant) and that the links keep passing value from external sources (do not get archived, etc.). The takeaway here is, you do not need to rely on other sites as much (if yours is structured properly), link building does not always have to happen outside the site to be valid and the type of link, its proximity and link weight matter when considering which pages you want to appear as champions from your site as the preferred landing page. Link Juice Travels Fast – Using Global Communication to Build Links! Balancing Link Diversity, Link Velocity and Link Volume!